Did you know more than 40 million people are living in modern slavery today? Modern slavery now ranks as the second most profitable worldwide criminal enterprise. It is believed that modern slavery affects every country in the world and here in the UK some recent figures suggest there are in excess of 100,000 victims hidden in plain sight. In this country there are many faces of modern slavery: people who find themselves in situations of domestic servitude; women and girls from abroad and from the UK trafficked for sexual exploitation; men and women abused by drug cartels and organized crime groups who end up in car washes, nail bars and as cleaners; and finally the thousands of people recruited from Eastern European countries who are exploited in various industrial and agricultural sectors – farming, fishing, poultry and factories. 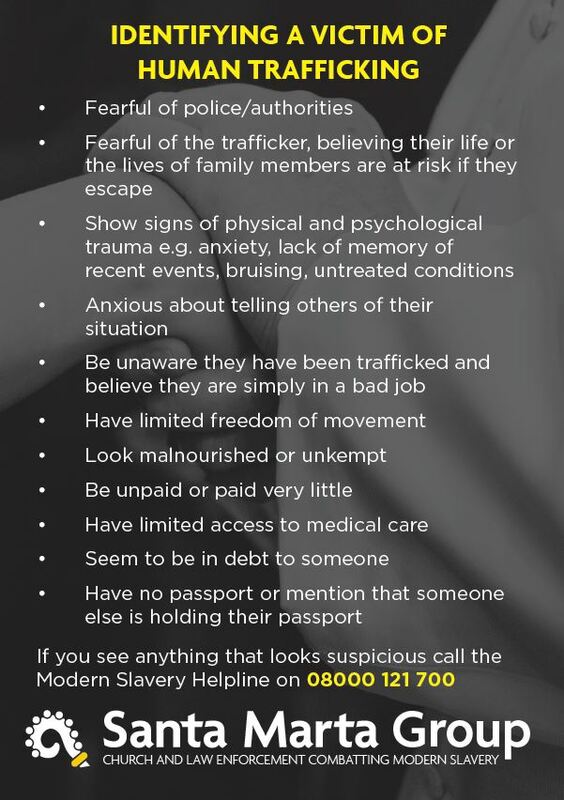 You may have even come across some victim of modern slavery without even knowing it. When you have your car washed and can’t believe how cheap it is, do you think of the human cost that might be behind it. 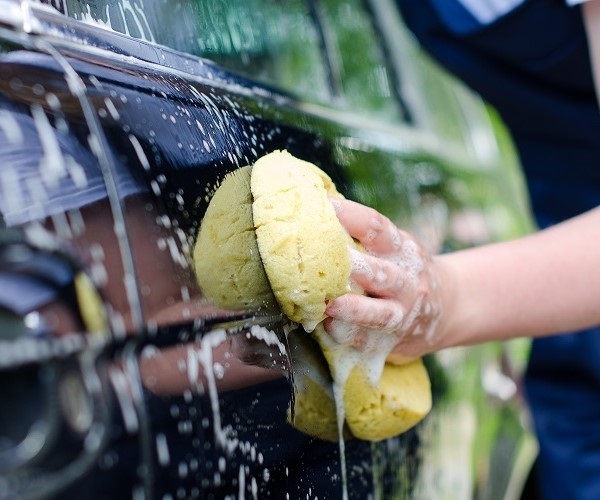 It is estimated that there are more than 18,000 hand car washes on Britain’s high streets, at the sides of motorways, and on abandoned garage forecourts. While many run as legitimate businesses, some exploit, force and threaten workers, but there is no reliable data on the scale of the problem. To combat the problem, drivers are being encouraged to join a national information-gathering campaign launched last year by the Church of England  and the Catholic Church in an app. The Safe Car Wash app will allow drivers to log where they are washing their car and answer a series of questions which could help identify if the staff have been trafficked. If the answers indicate a high likelihood, users will be directed to the Modern Slavery Helpline. In 2016, Pope Francis called Modern Slavery a ‘true crime against humanity’ and urged the Catholic Church to assist in the fight to eliminate it. Practical help like this carwash app helps us all to assist in the fight. He has used his monthly video to ask people to open their eyes to the reality of modern slavery. Here in the Diocese action is taken by Caritas Anti-Trafficking project which was inspired by an initiative in the parish of Our Lady of the Valley which works with East Lancashire Police in raising awareness on the issue. The project also links more widely with Greater Manchester Police, the Medaille Trust and the Santa Marta Group in Westminster. The Santa Marta Group was developed by the Catholic Bishops Conference of England and Wales and first met in Rome during April 2014 when police chiefs and Catholic bishops came to together, in the presence of Pope Francis, to sign an historic declaration, committing themselves to a partnership to eliminate human trafficking. 8th February 2019 marks the fifth international day of prayer and reflection against human trafficking. This date has been chosen as it is the Feast Day of St Josephine Bakhita. St. Josephine was kidnapped and sold into slavery at the age of 7. After she was freed in her early 20s she was baptized and became a nun in Italy. 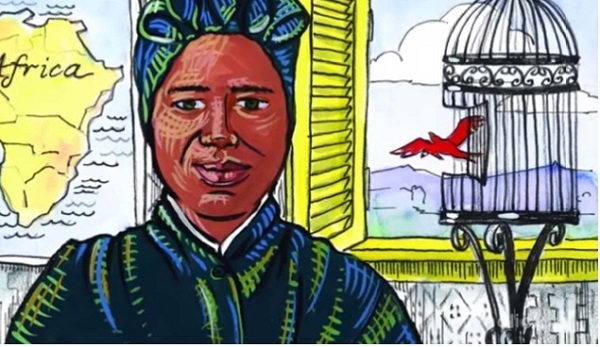 St. Josephine Bakhita, has emerged as a patron for all victims of trafficking and her legacy remains in the work undertaken by the local anti-trafficking groups around the world.